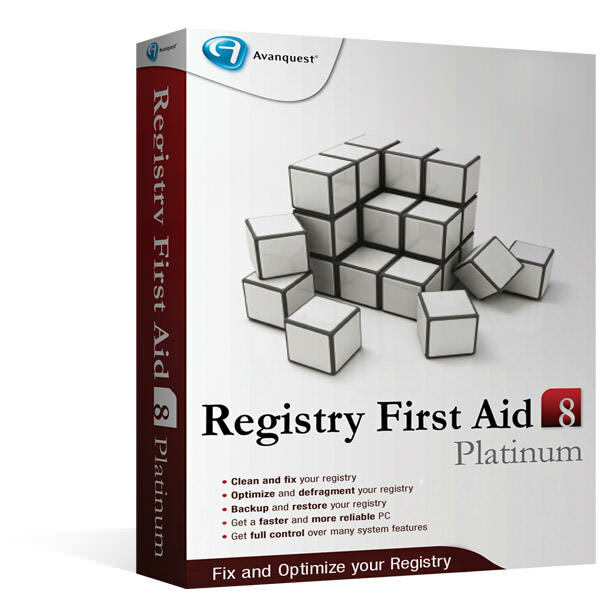 Registry First Aid is is Windows registry repair utility. With Registry First Aid, your Windows registry will be always clean and correct, helping your programs load faster and speeding up your computer. As you install and uninstall applications, numerous nagging file references are created in the Windows registry pointing to files that no longer exist. Registry First Aid will find these invalid entries and remove them from your registry. Also, if you've moved your programs from one drive to another, you can break the file links that a program needs. Registry First Aid will help you correct these invalid registry entries by scanning the Windows registry for orphan file/folder references, finding these files or folders on your drives that may have been moved from their initial locations, and then correcting your registry entries to match the located files or folders. With Registry First Aid, your Windows registry will be always clean and correct, helping your programs load faster and speeding up your computer. Improve your computer's performance today! If you need more information please contact the developers of Registry First Aid (Avanquest Software), or check out their product website.